PennsylvAsia: Encore presentation of BTS Concert film BTS World Tour Love Yourself In Seoul, February 9 and 10. Encore presentation of BTS Concert film BTS World Tour Love Yourself In Seoul, February 9 and 10. 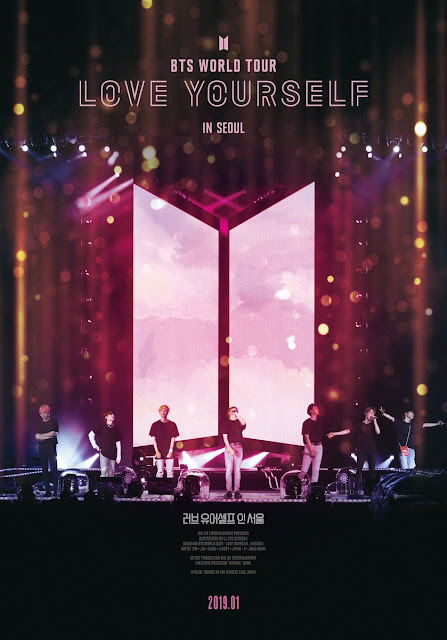 Shot at the Olympic Stadium in Seoul during the BTS WORLD TOUR ‘LOVE YOURSELF’, an exclusive screening of the most sought-after concert of 2018 hits movie theaters nationwide for a one-day only event. This event will bring fans together to celebrate the seven members of the global boyband and their unprecedented international phenomenon. The movie will play on the 9th at 11:00 am the AMC Loews Waterfront and the Cinemark Theaters in Monroeville and the North Hills. It will play at 11:00 am on the 10th at the AMC Loews Waterfront and the Cinemark Theaters in Monaca and Pittsburgh Mills. Tickets are available online.